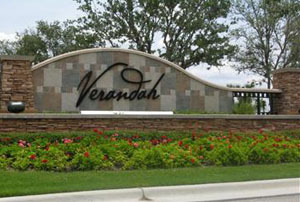 Verandah East Community Development District Fiscal Year AJC_DISTRICTYEAR Lien Roll | AJC Associates, Inc. Within the boundaries of Verandah are two CDD’s. The Verandah East Community Development District (VECDD), which includes the eastern half of the community, is governed by a five-member Board of Supervisors elected by the majority of the resident electors in the district. A professional management company – Wrathell, Hart & Hunt, LLC implements the policies of the Board. Chuck Adams is the Director of Operations of the CDD. All property owners pay for the operation and maintenance (O & M) of the CDD improvements through an annual assessment along with debt service (annual principal, interest and admin) on the VECDD’s capital improvement bonds. The VECDD utilizes the Lee County Tax Collector to collect its assessments each year. The annual assessments are added together and appear as one line in the non-ad valorem section of the property tax bill. The VECDD fiscal year is October 1st – September 30th.